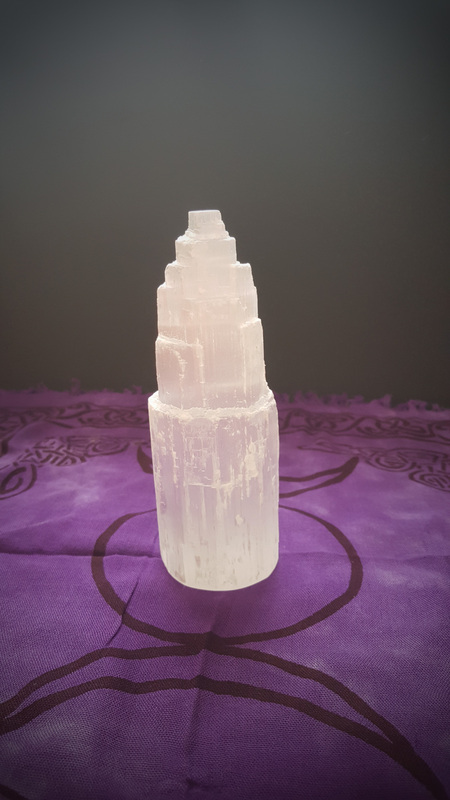 Products / Selenite Tower 5.5" - 6"
Selenite Tower 5.5" - 6"
Selenite is one of the most powerful crystals in the mineral kingdom. This beautiful stone aids in mental clarity, enables strong decision making, and promotes spiritual growth. Selenite is also a stone of truth and honesty. It is the perfect stone to have near your workspace to promote good business practices. Incredible abilities aside, Selenite is simply gorgeous to look at and will fill your environment with pure love and light. 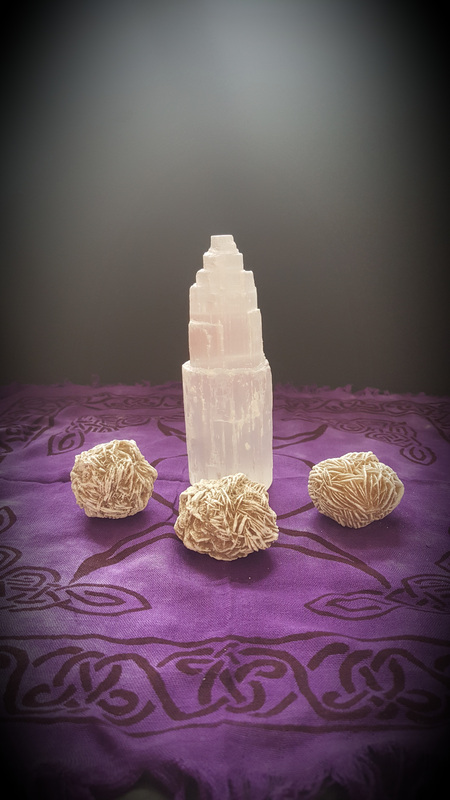 Selenite tower only (Desert Rose sold separately).